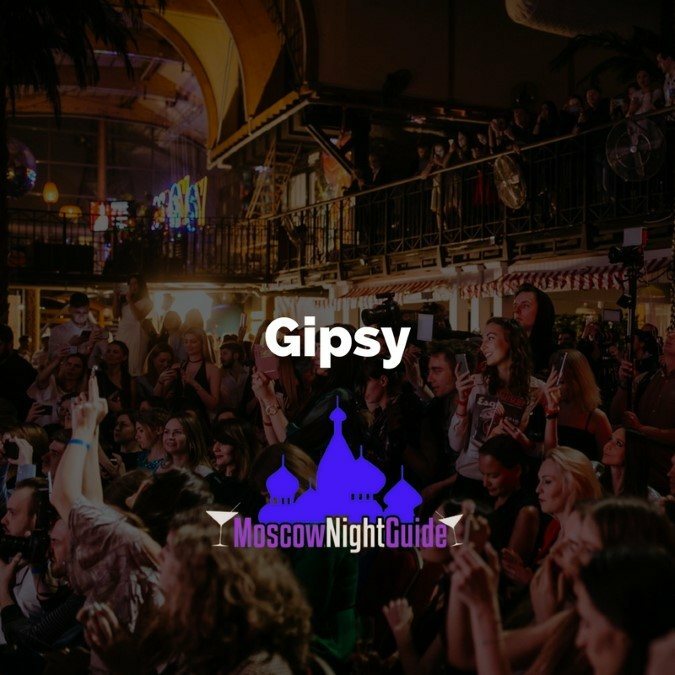 Summary: Gipsy is the most popular Moscow club for tourists. For younger people with lots of energy still a fantastic club but if you're over 25 you might be turned off by the crowd and the lack of swagger. Where is the Gipsy club in Moscow? What kind of music do they play in Gipsy? Like so often in a Moscow nightclub you get what’s currently hot and a lot of mashups. Don’t expect expert DJ’ing, but the music is pretty good and if you like commercial music you will feel like heaven. The guys mix it up with the occasional oldie or pop song but it never gets overly annoying. Honestly, one of the best clubs in Moscow if you’re into mainstream music. What kind of people go to Gipsy and how is the vibe? Gipsy has changed a bit since opening in 2011. It used to be a quite posh and high-end place that had a reputation of having one of the hardest doors in the city. It opened and re-opened a couple of times after several refurbishments and has become a lot more lenient since. Nowadays, Gipsy is especially popular among Moscow’s younger crowd, meaning average age there will be no more than 23. Expect lots of young students and groups. Since it still has a strong brand, it is the place to go for tourists (and also very welcoming of them). If you want good mainstream music and a solid mixture between more stylish and more casual people, then go to Gipsy club. They do the occasional night with performances. Most of the time that’s gonna be someone from the Blackstar label but sometimes international stars like Robin Schulz perform there as well. You’ll have to buy a ticket to those, but it’s worth it because you experience the best of Gipsy on these nights. Last but not least, Gipsy has one of the best vibes and energy of all Moscow clubs when it gets packed. It has one of the biggest dance floors and the retractable roof makes for amazing energy when you party open air in summer. Plenty of tables as well, so in summer I would definitely recommend getting one, especially with a group. Just don’t bother going to the little area inside the club, because it is deserted. When should I go to Gipsy? Fridays or Saturdays although Saturdays are significantly more packed. The club usually doesn’t get going before 1-2am but lasts pretty long. On hot nights there will be plenty of people even at 5am. In summer it’s also occasionally open on Sunday afternoons till the evening or on Thursday evenings if there is a special event. Smart casual. Gents should come in a shirt and decent shoes at least. Ladies should throw on a pair of heels. It’s not as fancy anymore as other places but you can’t come as a slob. Beers 300-400 Rubles. Cocktails 750 Rubles. Bottle service starts at 15,000 Rubles for 4 people. Gipsy used to be even wilder and better but it is still one of the high energy clubs in Moscow thanks tothe young crowd. So do you have any insider tips or recommendations for Gipsy? If you're a foreigner, let them hear it. Gipsy likes tourists. On your way home don't take one of the cabs waiting right in front of the club but order a taxi or Uber by app. It's way cheaper and you're on the safe side. Groups of girls should have men with them. I've seen groups of girls getting rejected more than once. Don't bother with the floor inside unless you want to have some privacy. Because if you define best nightclubs by mainstream music and lots of guests, then Gipsy is still one of the best Moscow nightclubs. Go there if you really want to dance, have a genuinely fun night out and like to party underneath palm trees with the sun rising at 3am.